There’s nothing worse than having a sudden sweet craving with no dessert in sight. 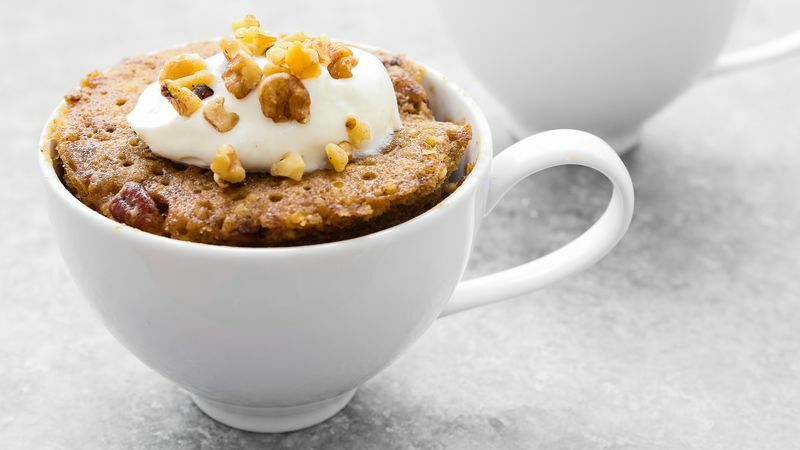 But with easy mug cakes, you’ll never be caught cakeless again! Ready to eat in just minutes, these mini cakes take only a handful of ingredients and bake right in the microwave. Just mix, microwave, top with whipped cream, frosting, ice cream or sprinkles and dig in. A perfectly portioned dessert ready whenever you need that sweet cake fix.